Forget the crowds and the stuffed shop shelves. 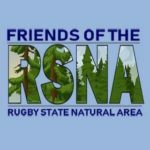 Terminate your turkey torpor with a post-Thanksgiving guided hike by RSNA Friends and State Stewardship Coordinator of Natural Areas, Jason Miller. The Rugby State Natural Area’s slight slopes and moderate terrain are perfect for easing yourself off the couch and hitting the trail again. Wear sturdy shoes, bring snacks and water, and watch the weather.